Under the usual guise of 'having fun' and 'showing off the Class' three New England RS Aeros turned out for the annual Archipelago Rally on the Westport River and they only very nearly walked away with the Cup! 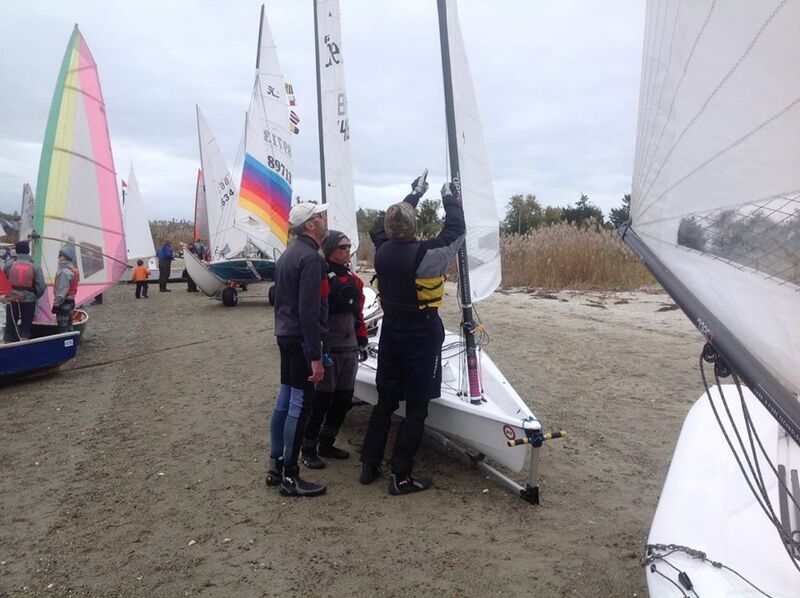 Gary Werden, Eric Aker and I sailed our RS Aeros in the 43 boat Archipelago Rally at Spindle Rock Club in Westport MA, a pursuit race for "anything with a sail." The start was Le Mans style from the beach. 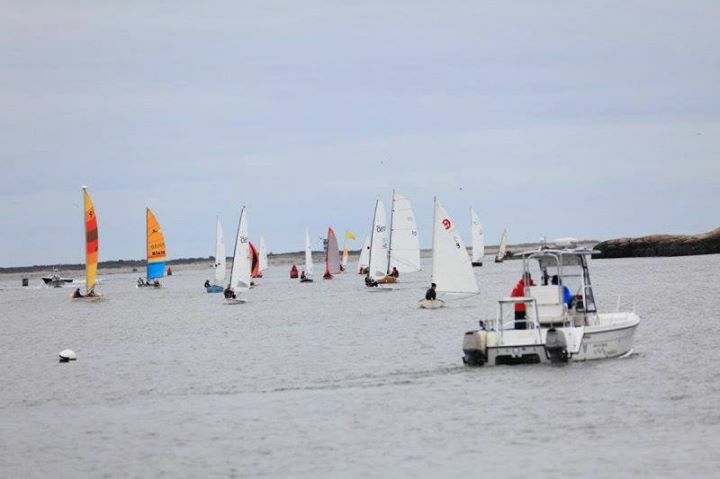 The race course was a beat up the Westport River to Crack Rock, back to buoy 17 just near the beach, then downriver to Half Mile Rock just outside the river mouth and back to the beach to finish. The river was still running out when we started which favored the faster boats including the RS Aeros on the first leg. As in all races, knowledge of the course was key; a couple of navigational errors by the leading boats gave me a lucky break and I finished a close second to the Guck family on a Hobie 14. Gary was 3rd, and Eric 4th. Naturally we were assured that if we show up again for this event next year we will see a hefty adjustment to our handicap! 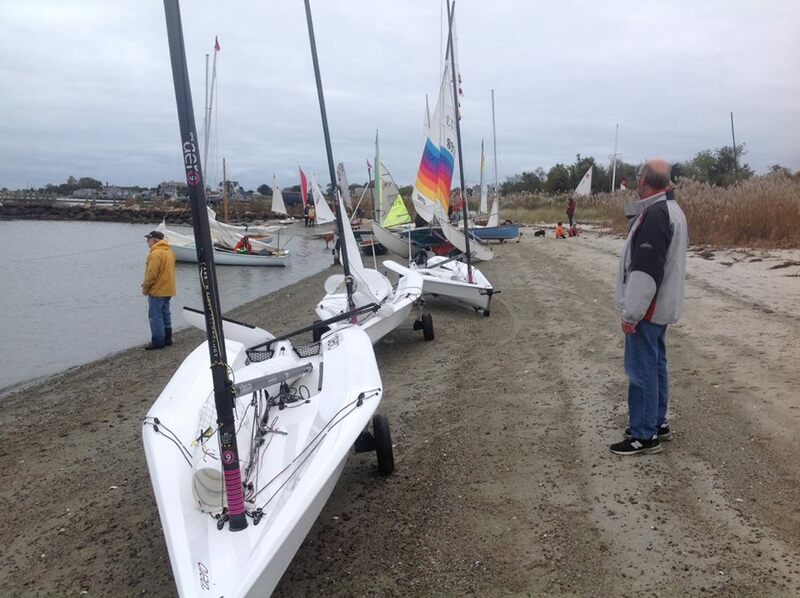 More importantly this was a great opportunity to show off the RS Aeros to a diverse group of local sailors. There was a lot of interest shown and questions asked about the Aeros by the other sailors, so we are hoping this will lead to some growth for the class in New England in the coming months.